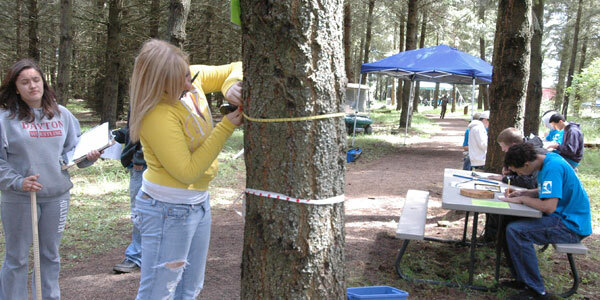 Teams of five students participate in this hands-on environmental problem-solving competition. Teams complete training and testing in five categories – aquatic ecology, forest ecology, wildlife ecology, soils and land use – and one current environmental issue. Winning teams may advance to the National Envirothon event and compete for recognition, scholarships and prizes. Professional development for instructors, student field trips, training sessions and study equipment are available to prepare teams for the competition. Overnight accommodations are available for teams traveling further than 50 miles each way. Number of rooms requested for team and advisor(s). Please plan accordingly for separating male/female team members, maximum of 4 per room.